Previously we discussed a Local File Inclusion bug at IKEA.com, the bug was quite complicated and showed us that you have to think out of the box in order to exploit it. This time we will learn how a relative simple and easy to spot bug can have a high impact; a potential data leak of customer data. Plenty of high profile brands use Salesforce for their Customer Relationship Management (CRM); it’s perfect for customer care support. Furthermore it’s real easy to implement their software on your own website by using their API. As mentioned in our previous bug report, IKEA is a nice brand with a proper responsible disclosure statement. So we’re safe to help them find bugs, maybe even in exchange for a reward. Time to search for bugs! As always we start with a search for interesting sub domains. A good start is to use Amass, it will query different public available data sets and gives you a nice list of sub domains back. However searching manually in different data sets is never a bad idea; search the social media accounts of the brand for interesting sub domains and URLs. Open Facebook.com, Twitter.com and LinkedIn.com; search the brand name, search for domain names and see what you end up with. 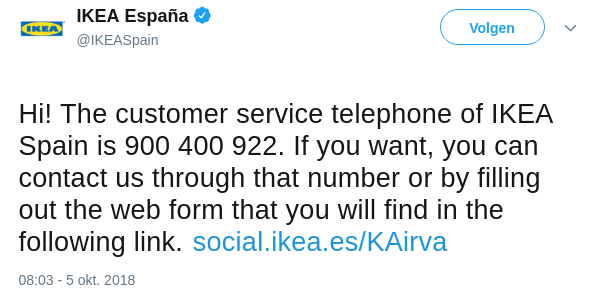 The Tweet deeplinks to https://social.ikea.es/KAirva which resolves to https://ww9.ikea.com/es/es/contacto/formulario.php?cid=a1:of%7Ca2:es%7Ca3:csc_social%7Ccc:915 a simple page with a web form. Forms always deserve a closer look; are there any query parameters reflected in the source (reflected XSS), are you able to upload arbitrary files (stored XSS) or are you able to inject HTML code in one of the fields, code that is being executed in the web interface of the administrator (blind XSS)? A good start is to search with the Param Miner (Burp Suite plugin) for query parameters that are being reflected in the page source. Found a parameter? Put the request in the Burp Suite Repeater and check if you can create a reflected XSS bug. Long story short: no luck today, no XSS vulnerable reflected parameters are being found on this page. The next thing we check is the file upload; where do upload files end up and are we able to upload our own how HTML files to a public IKEA url? Lets open the Chrome DevTools, select a file, press the upload button and watch the network requests being made. Of course you can also use the Burp Suite Proxy History to see the requests. This time we discover something special. Our browser actually makes quite a few requests in order to upload a simple file. Let’s have a closer look at these requests, what is happening? 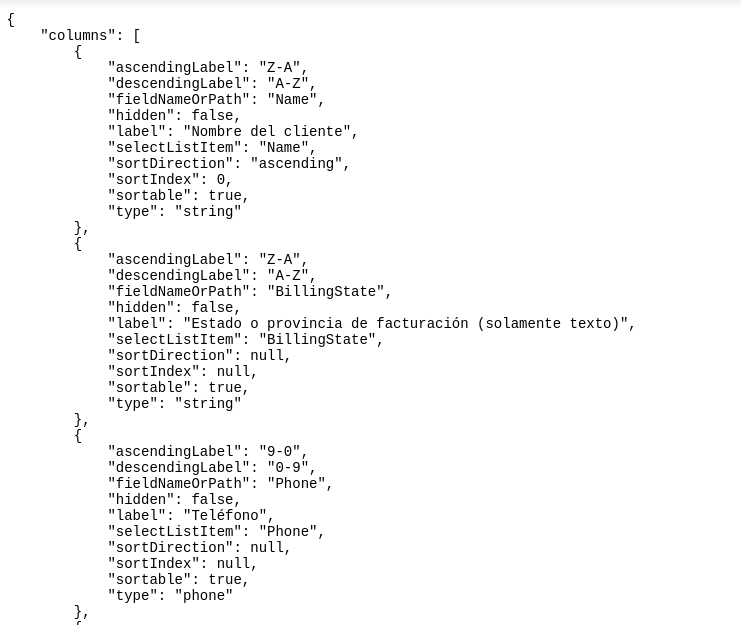 The first request https://ww9.ikea.com/es/en/contact/sendFormS4G.php creates a Salesforce Object ID for the ticket and returns us the ID. The third request https://ww9.ikea.com/es/en/contact/sendAttachmentS4G.php uploads the file to the Object ID returned by the first request, using the Salesforce API access token from the second request. That looks quite cumbersome, making three requests for a simple upload, but if it works it works. What about the API access token that is being shared with our browser? Does it only has access to our Salesforce object ID or can we use it to access other objects as well? We may use this access token to make requests directly to the Salesforce REST API. - How to create a list output of a specific object type. curl https://yourInstance.salesforce.com/services/data/v37.0/sobjects/ -H "Authorization: Bearer token"
We can access,search, create and delete all the account objects. This means we may have a potential customer data leak. The output from above is a small snippet of the 389kb JSON file being returned. It contains 465 different object types; from AuthConfigs till Emailmessages, for most we are allowed to query and retrieve them. Mmm. What about customer data? During bug bounties you want to show the impact of a bug, but at the same time you need to be responsible. That means that you need to limit the amount of data you request, don’t dump the full database, just a few records is enough to show the impact. Lets create a small list of 25 customers with their names and phone numbers. We do this by requesting a list of users from an account. We just proved that this bug may lead to a customer data leak, so it’s time to write the report and inform IKEA. IKEA uses Salesforce for some of their customer care support forms on IKEA.com. In one of those web forms we were able to upload files to their Salesforce instance. 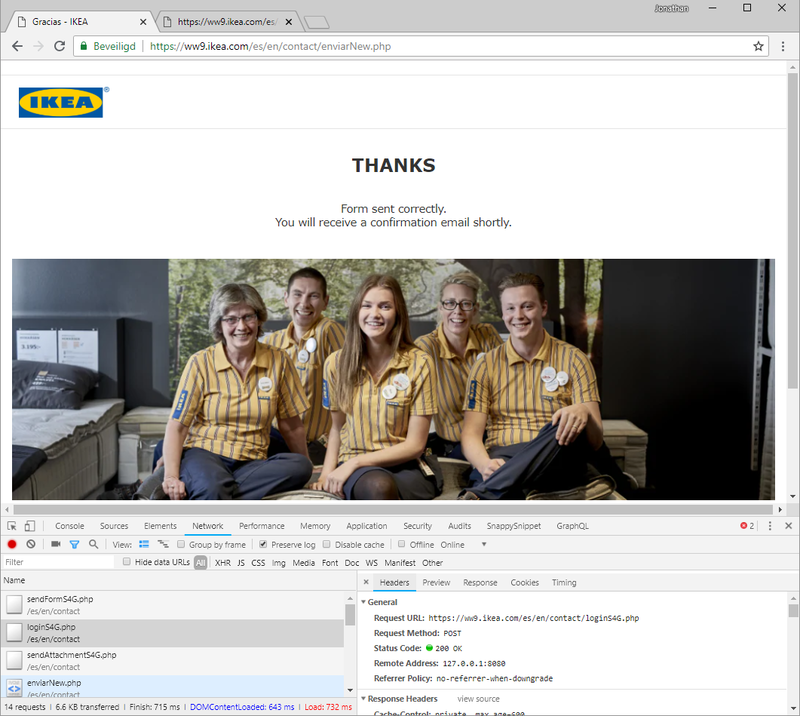 IKEA shared their Salesforce API access token with our browser in order to do this. This shared access token was not restricted to only our own support ticket, but it gave access to other customer data as well; a potential customer data leak is the result. 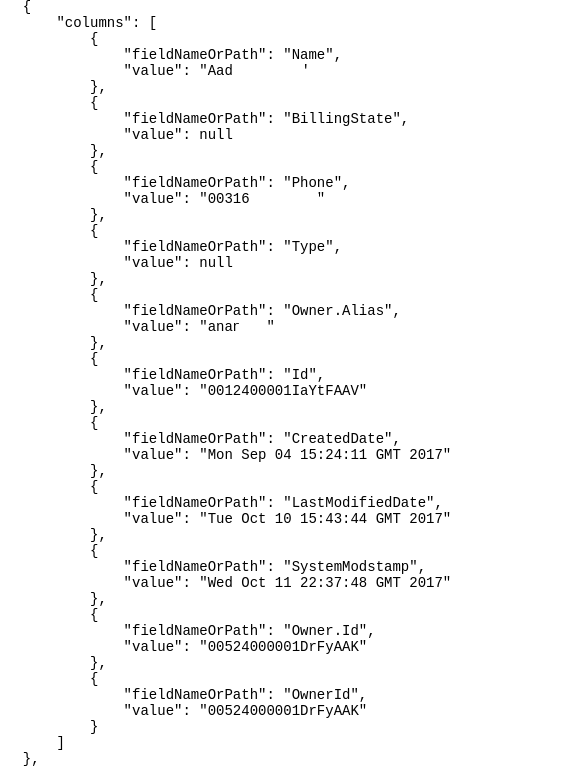 This learns us that whenever we run into Salesforce access tokens we should check their access permissions by making requests to the external REST API of Salesforce. - Don’t share any access tokens with a visitor, handle the file upload server side.